Thursday 10th* to Saturday 12th November 2016. 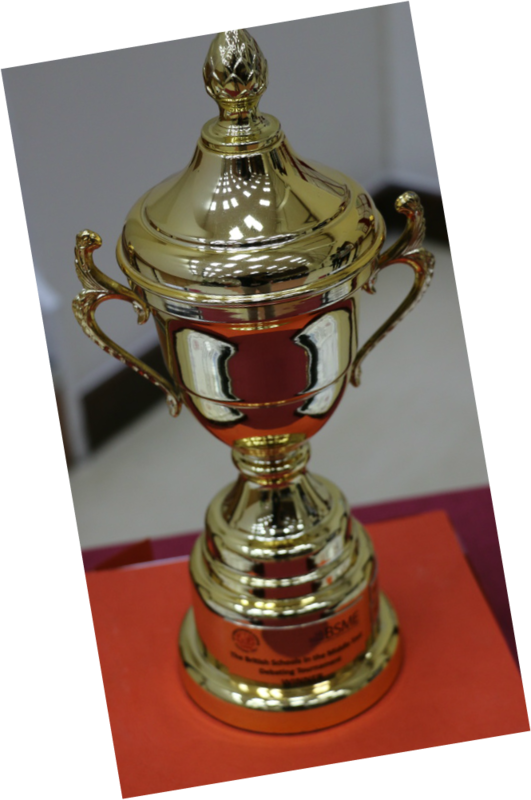 St. Christopher's is proud to host the fifth BSME Tournament, which will take place from Thursday 10th to Saturday 12th November 2016. The B.S.M.E. 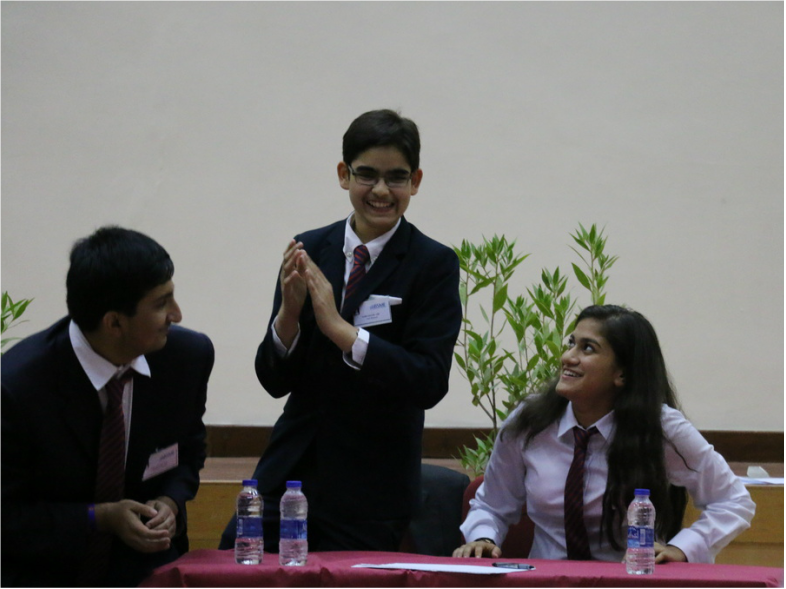 Debating Tournament has two objectives: to raise the profile of competitive debating in the region, and to help students prepare for other public speaking events such as M.U.N. 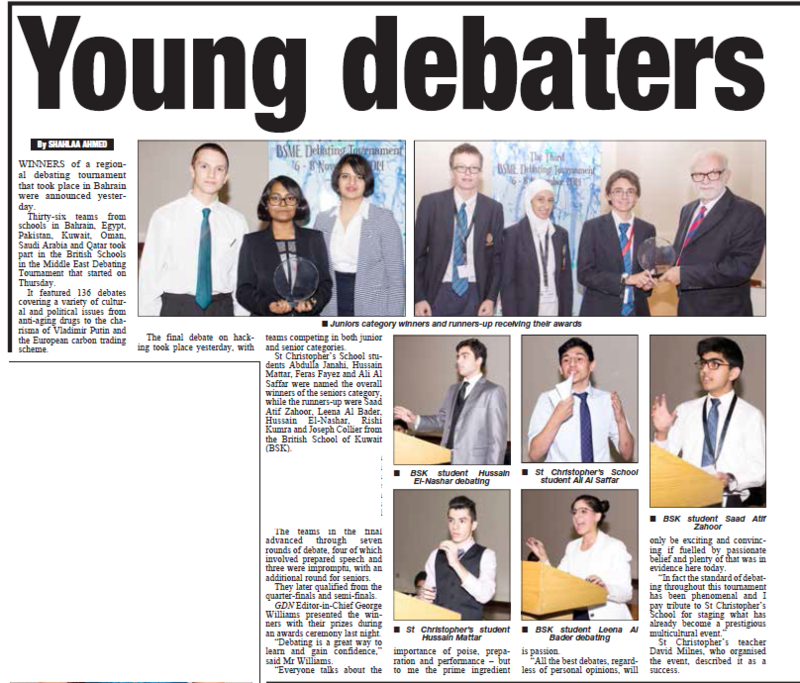 or the World Schools Debating Championships. 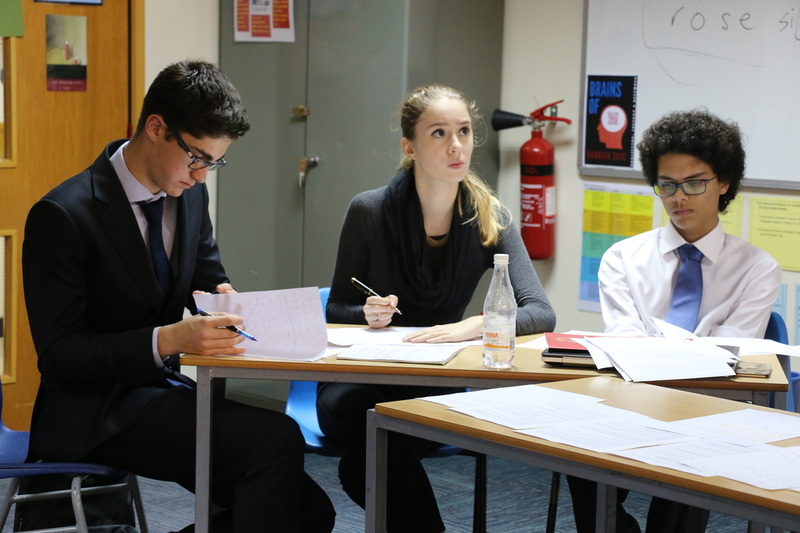 We would like to express our gratitude - at every opportunity - for the excellent work done by the WSDC on their rules for this form of debating, and for their advice to debaters and adjudicators, which underpin this BSME event. The tournament grows each year. Come and make 2016 the biggest and most competitive event yet. 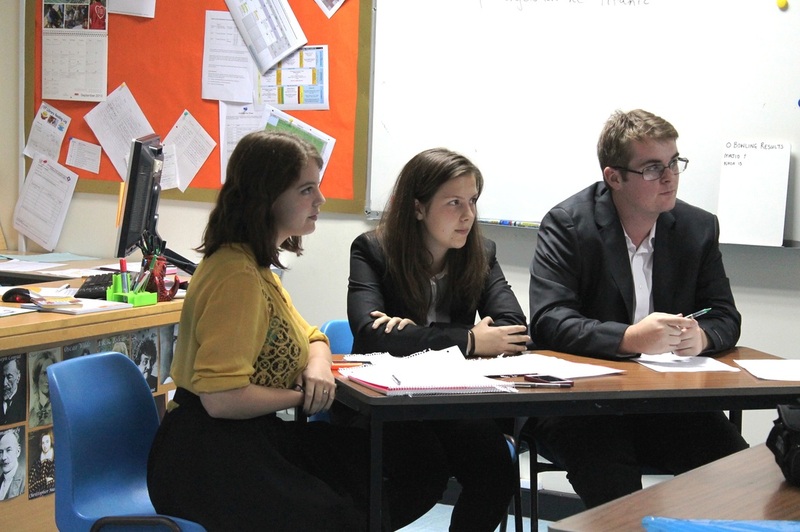 and Senior Section (years 11-13). 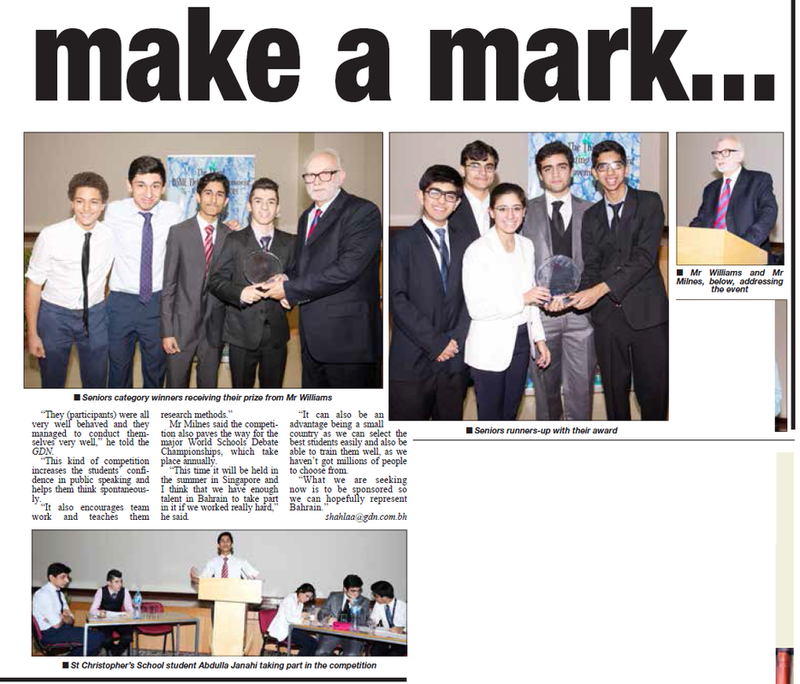 Senior Finalists from St Christopher's and from The British School of Kuwait, with Head teacher at St Christopher's Mr Wilson (left) and GDN Editor George Williams (right). 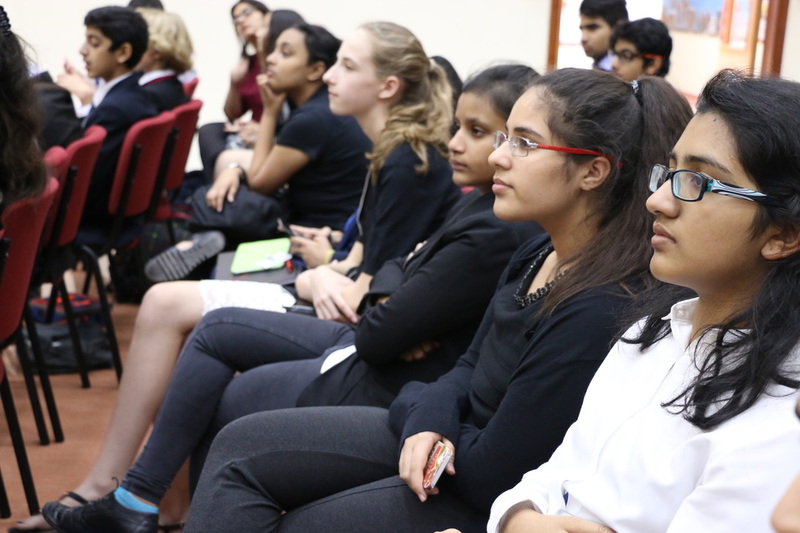 Junior finalists from St Christopher's and from Sherborne School, Qatar. 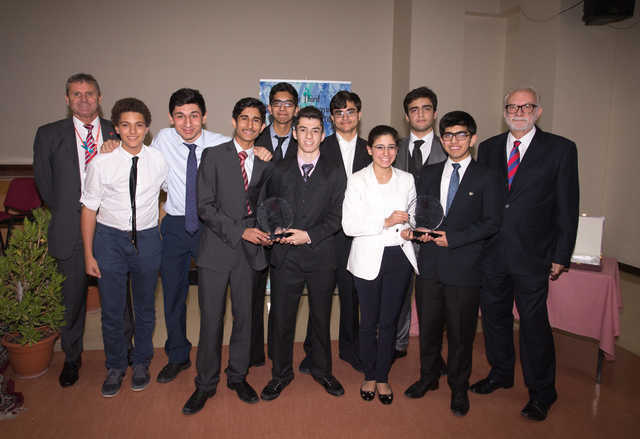 Winners of the 2013, Senior Tournament, St Christopher's School, Bahrain, with the British Ambassador to Bahrain, His Excellency Iain Lyndsay, who awarded prizes to the finalists. 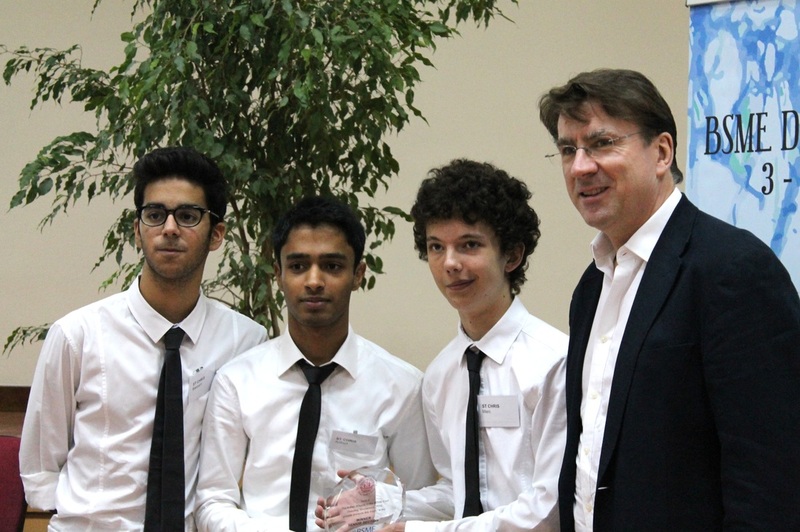 Runners-up, Dhahran British Grammar School, are below. 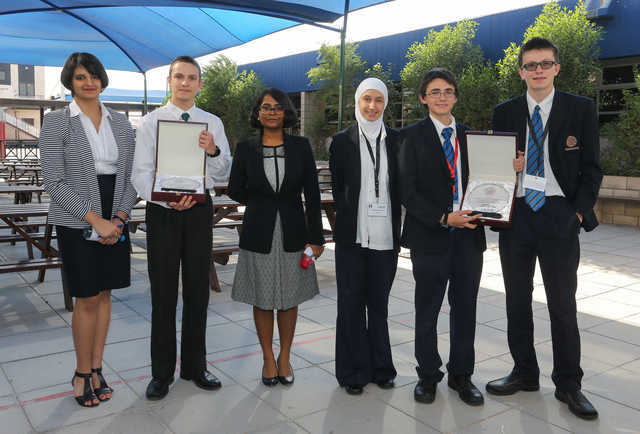 Winners (left) and Runners-Up (right) of the Junior Section, 2013 - both teams were from St Christopher's School, Bahrain - receiving their trophies from the British Ambassador to Bahrain, His Excellency Iain Lyndsay. 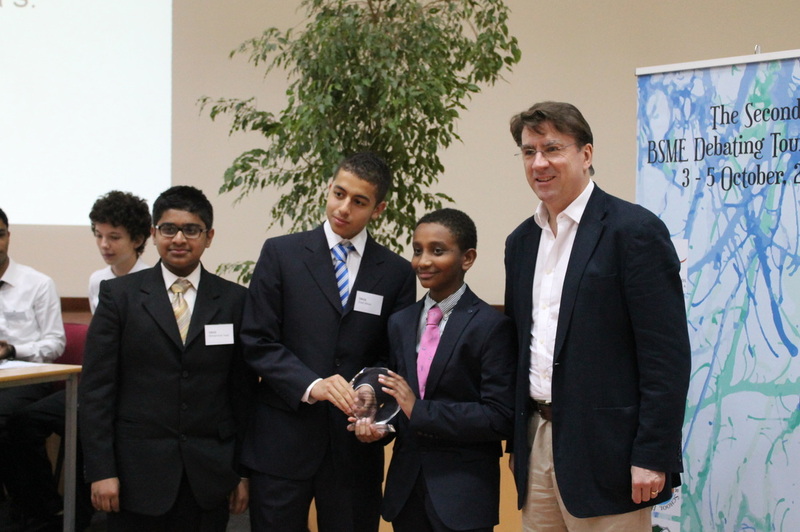 British Chargé d' affaires for Bahrain, Russ Dixon, presents the winner's trophy to Doha College, champions in 2012, who defeated Jumeriah College in a truly outstanding final, whose motion was: "This House believes that the GCC countries owe it to the world to take the lead in the conservation of fossil fuels and the development of sustainable energy." 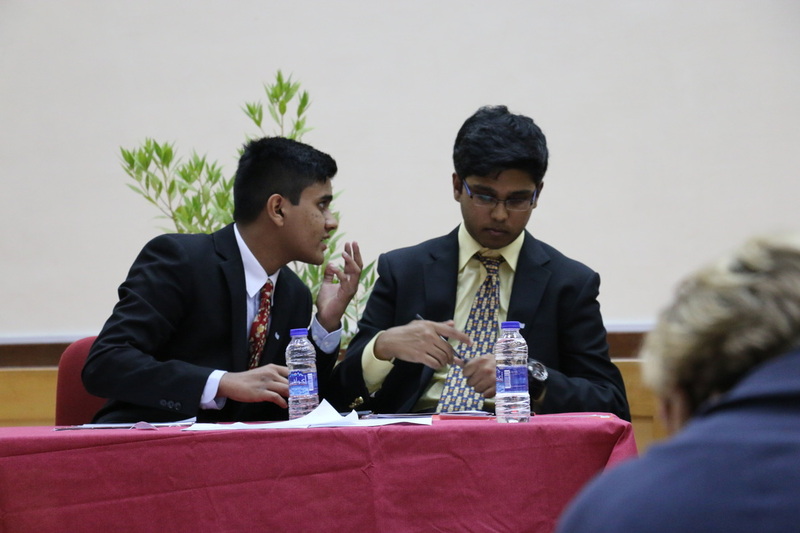 Doha College were in opposition. 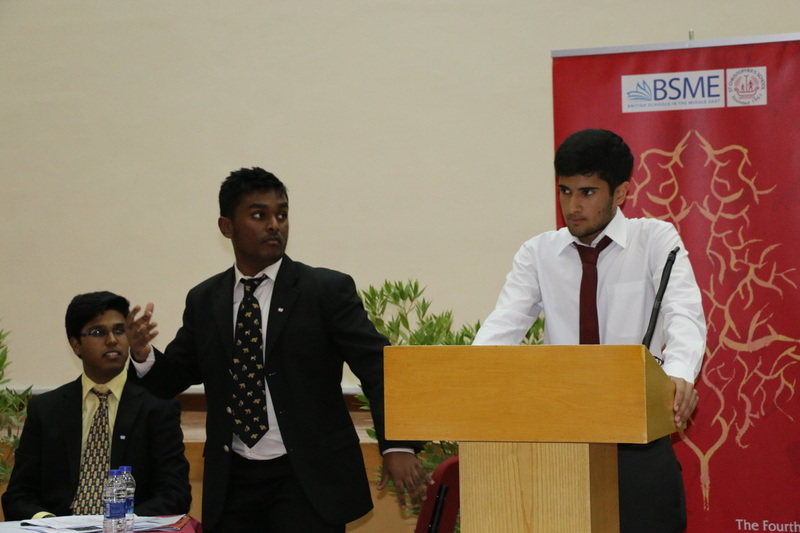 From left to right: Oliver Tull, Fathima Faizeen, Dhiren Naidu, British Chargé d'affaires Russ Dixon, and Doha Debating Coach, Jonathan Henley.